I knew it had been a while since my last post, but wow. It has been a challenging spring, with both Sweetie and PB spending time in the hospital. Rest assured, both are well now and we are looking forward to a fun and easy-going summer! 3. A much-needed day of fun at Oaks Park. She rode all. the. rides. 4. Awesome train building with my girl. 5. We recently had a little photoshoot for Stash. I love our merry group of Stash Enhancers! 6. I was featured in an article about crafty tattoos in the current issue (#5) of Pom Pom Quarterly! What an honor and a treat to be included in such a beautful needle craft magazine! This special little publication from London is not to be missed. Only a few US shops have it at this point, but you can get a subscritption or order online here or at Stash. I hope your summer is off to a an easy, breezy start. See you in this space soon for some wip action! Smashing cover photo. You look terrific! And, of course, the girls riding the carousel was precious! PB looks as if she was captivated by all the animals to ride! 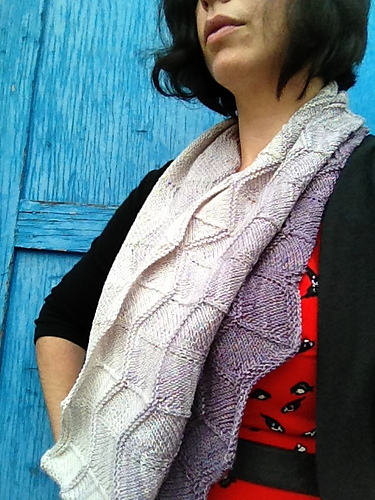 All of your knitting projects are always fun to see! Your enhancers are delightful! Mom says good going! Life looks very good! I miss having kids young enough to build trains with (but I still have all the pieces!). Beautiful knits. I especially like the yellow sweater. You are very photogenic and look great in the magazine. 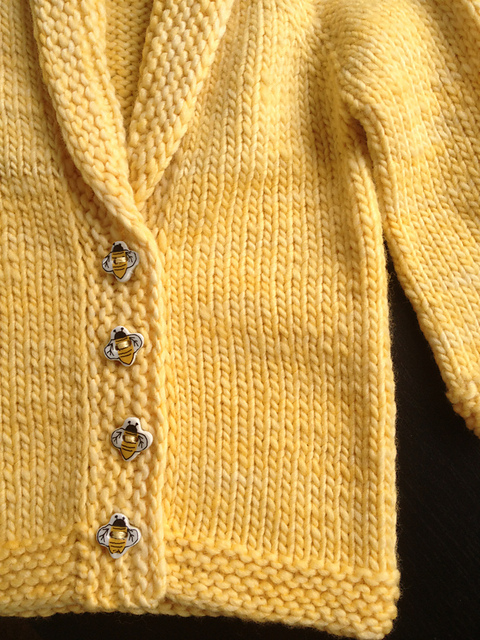 I love the cardigan with the bee buttons. It will be loved, I’m sure. Glad to hear everyone is better and that life is returning to normal! You magazine photo truly is smashing and what an honor…looking forward to seeing your wip’s. Thanks! The baby’s mama really likes it too.